It has truly been a pleasure serving as your society president. The 2016-2017 term has been challenging but exciting. I would like to thank you all for your strong support our society's missions and activities during last year. As I enter the end phase of my term, I want to take this opportunity to thank you and to make sure you are aware of the society's ongoing initiatives and the upcoming activities. 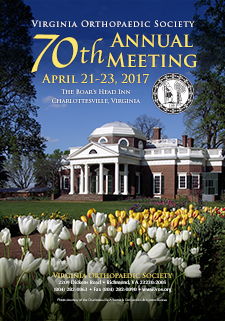 The VOS 70th Annual Meeting program has been completed (View it here) and will be held at the Boar's Head Inn in Charlottesville, Virginia on April 21-23, 2017. I would like to thank Program Chairs David Weiss, MD and Winston Gwathmey, MD and the Planning Committee for their hard work in making this meeting comprehensive and exciting. The meeting will be highlighted by participation of our two internationally renowned Presidential Guest Speakers - Dr. John Clohisy from Washington University in St. Louis and Dr. Andrew Burgess from the University of Texas at Houston. The program will also introduce two new sessions - Resident Quiz Bowl on Friday evening and Resident Breakout Session on Saturday morning. 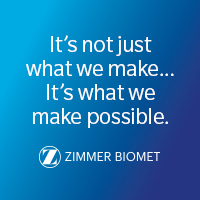 There are in addition to our regular PA Breakout Session on Saturday. 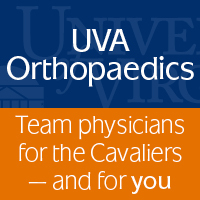 We are also excited about having the Saturday evening reception/dinner and ceremony for the VOS Lifetime Achievement Award winner, co-sponsored by UVA Orthopaedics (thanks to Dr. Bobby Chhabra), to celebrate and showcase the very best in medical education and healthcare of the Commonwealth of Virginia. Our membership growth continues and reached its highest in 2016 (423 in 2014, 469 in 2015 and 504 in 2016). 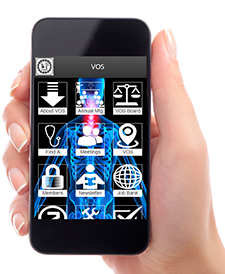 The Board and the VOS office staff have worked tirelessly to recruit new members and have stressed that there's never been a more important time to become a member of VOS. 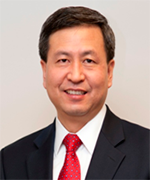 I am sure you noted that your VOS membership has increased the power of our influences in the regulatory and legislative arenas. It will also benefit your career as well as your profession - an invaluable investment that will pay dividends in the future. The VOS delegation met with Delegates John O'Bannon III, MD and T. Scott Garrett, MD during this year's White Coats on Call. 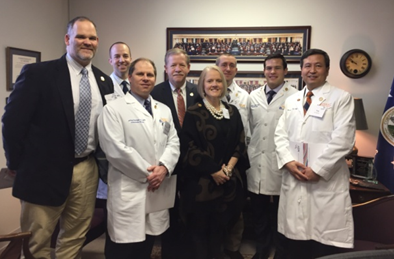 Again this year, the VOS representatives joined the Medical Society of Virginia's (MSV) White Coats on Call Day on January 30, 2017 (see photos). They advocated for Certificate of Public Need (COPN) Reform, Opioid misuse and thePrescription monitoring Program (PMP) Pilot. While several bills have passed with incorporation of VOS recommendations, such as prescriptions for post-operative pain, we were not able to pass any significant COPN reform bills this session. However, we made a lot of progress and continue to gain momentum. Thanks to our members who participated in the event and contacted your legislators and let them know that the current COPN program needs to change! The good news is that the House Health, Welfare, and Institutions Committee will now allow and encourage providers to come forward with “pet projects” for COPN exemptions for individual services or facilities. VOS is hopeful, with the support from grassroots orthopaedic surgeons, that COPN reform bills will pass in thenear future. 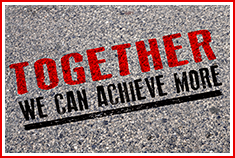 Therefore, your continued participation and support areof paramount importance! Please consider contributing to the Virginia Ortho PAC (Link) to ensure our voices are heard and our patients, as well as your practice, are protected! Thanks again for your support to VOS and I look forward to seeing you in Charlottesville at the Annual Meeting.